Oxford International Study Centre is situated in the very centre of Oxford, surrounded by the Colleges of the University. OISC is accredited by the Independent Schools Inspectorate (grade 1 in all categories : �exceeds expectations�), and has UKBA Tier 4 Sponsor Status. The College is also a Member of the European Council of International Schools. The Directors are Robert Marsden ( Eton College and INSEAD) , and Carolyn Llewelyn, who graduated from St. Anne�s College, University of Oxford, in Modern and Medieval Languages. They have both worked in international education for over twenty years. 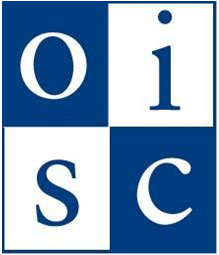 The teachers at OISC are from leading universities, including Oxford and Cambridge. OISC provides high quality year round and short programmes which offer: �	Flexibility of programme content and starting dates. �	Excellent contacts with the University, enabling students and clients to be taught in and live in the Colleges of the University in the vacations. High calibre tutors and visiting speakers from academe or business ; �	A range of over twenty subjects. �	Strong links with a large number of British Universities (including Oxford and Cambridge) and British Boarding Schools. �	A high level of pastoral care for students, including personal tutors and regular reports. �	Programmes for teachers and other professionals. We have several types of programme: �	A-Level, (I)GCSE and Foundation programmes over one or two years for students wishing to enter a British University. �	Pre-MBA programmes (level 7) for graduates �	English Language Programmes �	Programmes for teachers and other professionals �	For students wishing to enter a British or European Boarding School �	For University postgraduates and undergraduates �	For Companies and Organisations. Previous clients have included the China Development Bank, Beijing Union University, and the Egyptian General Petroleum Company. �	Study Abroad programmes � summer, semester or year in Oxford �	Vacation programmes at Easter and in the Summer �	Special preparatory courses for Oxford and Cambridge University Entrance in the summer vacation and/or autumn term.